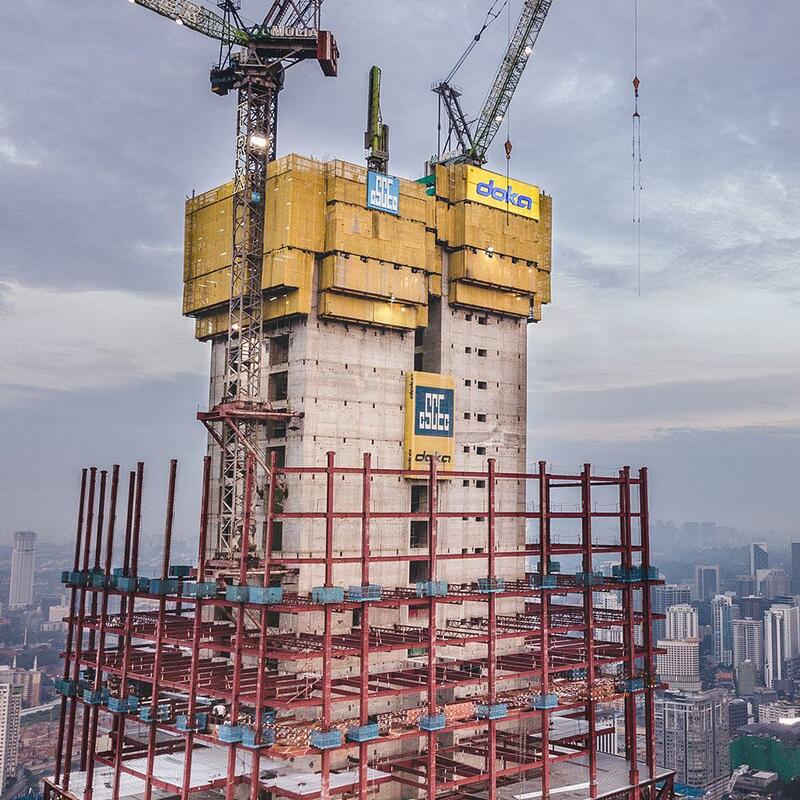 When finished in late 2018, Malaysia's The Exchange 106 super-highrise will soar 492 metres into the sky. The Exchange 106 will be even taller than the world-famous Petronas Towers, which top out at 452 metres. 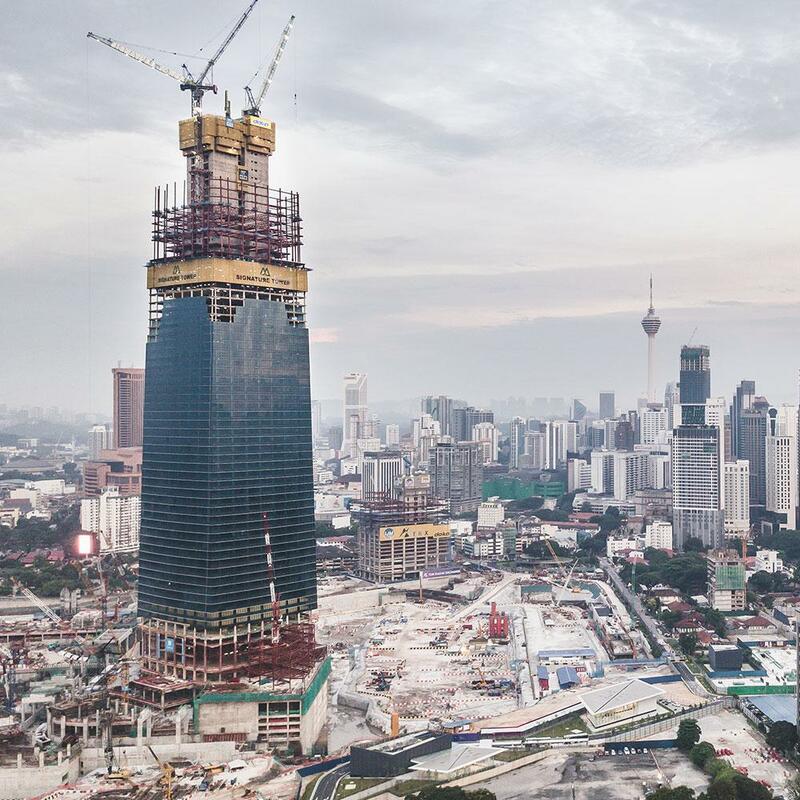 The build is in the city's Tun Razak Exchange district, which when finished will occupy some 13,877 m² in the heart of Kuala Lumpur. The precinct is planned as Malaysia's new international finance and banking centre. The design was drafted by architects and property developers Mulia Group. The building tapers continuously as it rises. It is topped by a 48-metre high illuminated crown made of special glass. In the dusk and at night-time the skyscraper will stand out as a unique light feature in Malaysia's capital. Project owner is Indonesia's Mulia Group, which has planned the project with 106 floors primarily as office space. - Large platform decks with high payloads for reinforcement, site equipment, etc. Ingenious formwork and safety concept. 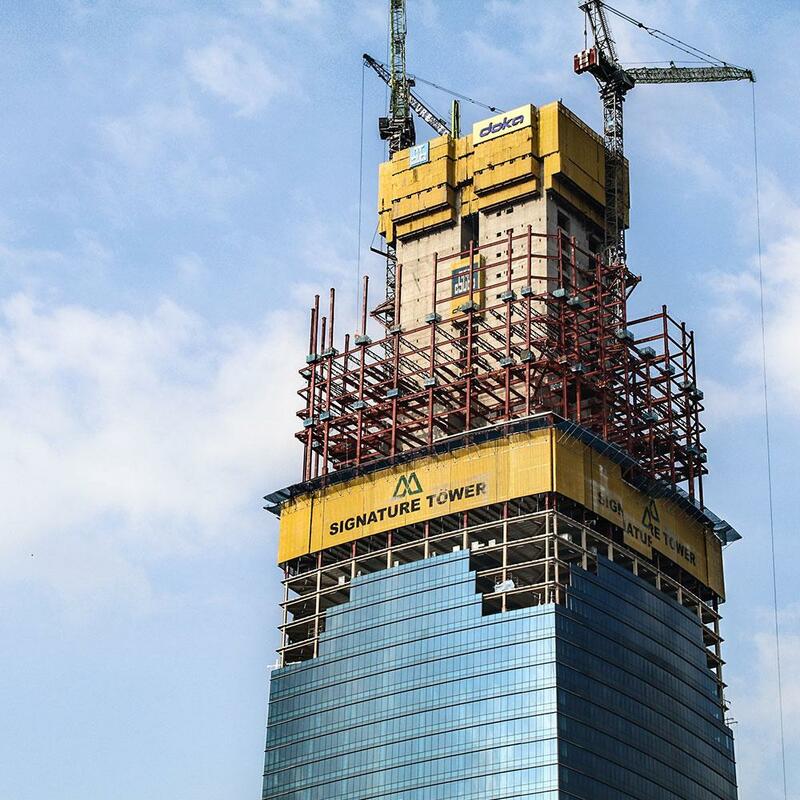 The Doka automatic climbing formwork for the core, plus familiarisation with the routines for formwork assembly, plus training of the site crew, permit a 3-day cycle per floor. The Doka protection screen Xclimb 60 with integrated material Catch Fan offers all-round protection for construction of the façade of The Exchange 106. Plus two Doka formwork instructors in the field to provide support on site. Thank you for your interest - Exchange 106. Thank you very much for your interest - Exchange 106.